Esther Neil has been teaching Suzuki piano lessons in Grand Rapids for 7 years and is a lifetime member of the Suzuki Association of the Americas. 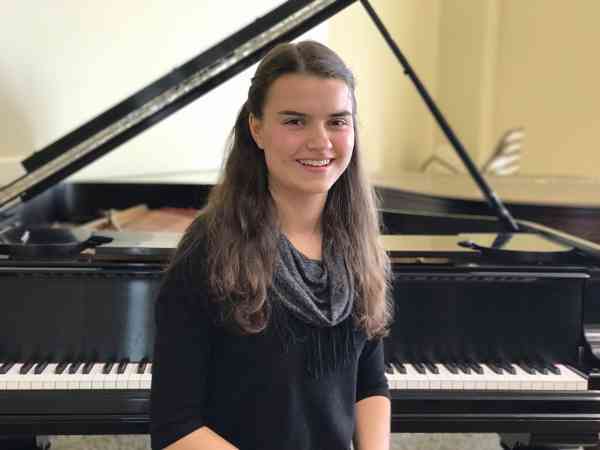 Being an active member of St. Cecilia Music Center in Grand Rapids﻿, her piano students gain the experience of performing in the Junior Music Clubs and learning from professional guest musicians. Her students also have the opportunity to participate in NFMC Festival and earn points toward gold cups. As a member of the Music Teachers’ National Association, the Michigan Music Teachers’ Association, and the Piano Teachers’ Forum of Grand Rapids, Esther has a collaborative relationship with other piano teachers that inspires her to find new ways to creatively engage her students. She is a member of the National Federation of Music Clubs and the Michigan Federation of Music Clubs and also serves as State Gold Cup Chairman for Michigan and Co-chairman for NFMC Festival at St. Cecilia Music Center. Esther Neil loves making the piano fun for children using the Suzuki method! Just as all children learn to speak their native language fluently, the Suzuki method helps children learn music the same way. Esther enjoys helping parents foster a beautiful character in their children. By learning to believe in themselves and to work hard to achieve their goals, children gain confidence and a wonderful work ethic that they will carry with them for the rest of their lives. And along the way, they learn to play the beautiful music they love.